Is your RV ready for her last camping trek? Is your motorhome, having served your family well, ready to make some memories with another young tribe? Making decisions for end of life recreational vehicles can be emotional…and costly. Maybe we can help? While Donate a Car Canada cannot accept every holiday vehicle that comes the way of our charities, we are able to assist with many! Is your motorhome drivable? Is it mold-free, with most components (like the fridge, stove, washroom facilities) in working order? While we cannot provide recycle services for end of life RVs, in most major centres across the country we have re-sale support for rec vehicles that can be put back on the road for continued use. 1999 Rialta Motohome draws $6153.00 donation for charity! If a motorhome is processed through our program it will likely be sold at auction, as-is to the highest bidder. 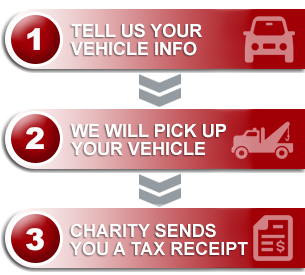 Depending on the year, mileage, and overall condition of the vehicle, we can see returns of hundreds, or even thousands of dollars toward the donor’s chosen charity. In Autumn of 2015 we saw the Parkinson Society receive a gift of over $6000.00 from a donated motorhome. The previous summer a 1986 camperized van brought in $3194.25 for The Salvation Army! We are always grateful for drop offs! Tows are always free to donors through our program, but in the case of auctioned units, the cost of transport is removed from the final sale outcome. As moving a holiday trailer from storage to auction can be cost prohibitive, your drop off ensures that we don’t lose any donation dollars to that part of the process. We appreciate that managing a motorhome once your family is done using it can be costly – and it takes up a lot of real estate on the driveway, too! If your memory-maker is ready to go on serving another family in a different stage of life, consider extending her legacy through our program!